While trying to navigate my way through my Twentysomething-Life, I have partied, drank (a lot) and dated. I am now a mommy, a law student, and a DIYer. I'm Lizzy, this is my blog. After all the supplies have been bought, the time has come to actually DO something! 1. My first step was to remove the glass from the picture frame. 2. 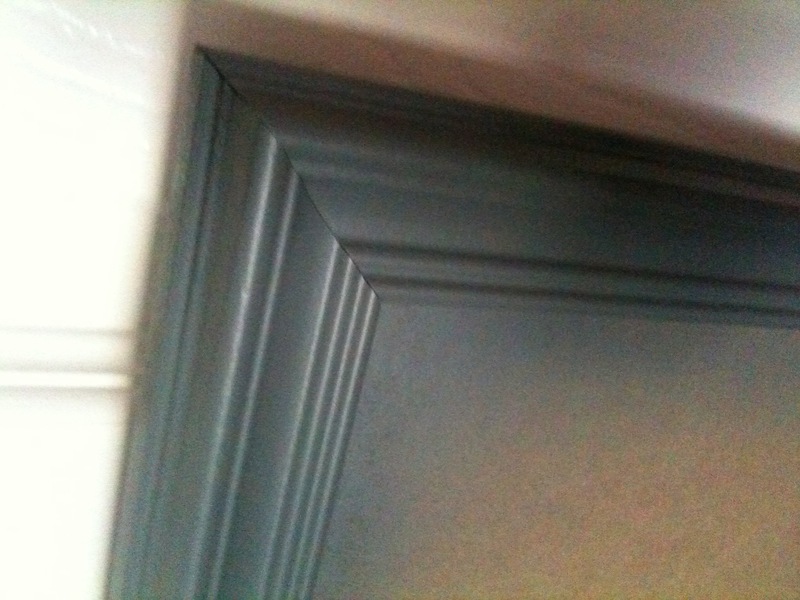 Next, I took a 22o-grit sand paper block and gave the picture frame a good rub down. Make sure to get the top, inside, and the outside. Hell, I even did some of the back I think. It got dirtier than I thought… so don’t do this one inside. 3. I had a box for my baby’s high chair that I just bought from Wal-Mart lying around, so I cut one side of that down so I had something to spray in. I took the box with the frame in it outside, in the open. Then I shook the can 1 minute per directions on the can and then sprayed the frame in short, even strokes. I can honestly say this was the 1st time I have EVER sprayed spray paint! It was fun! 5. Next I waited and waited and waited. Then finally sprayed on a coat of Krylon‘s Blue Ocean Breeze spray paint. 6. After putting the frame aside to dry, the hardest part of all of this was cutting the sheet metal. I was a genius and decided that it could be done with scissors, (which btw got the job done, but cut the hell out of my hands. If you wanna be a pro, get some tin snips. After my first 2 boards, I bought them from home depot for less than $14.) I measured the back of the frame on the sheet metal, took a sharpie and outlined the size. Then cut, cut, cut. 7. The next step and the most important step (that I keep on forgetting and keep screwing myself!) is to make sure the metal fits in the frame BEFORE you put on the fabric. Otherwise you’ll have to rip up the fabric, re-cut, then re-glue the fabric. NOT FUN. Trust me. It’s happened to me several times. 8. After you cut the metal and make sure it fits in the frame, then cut the fabric. I put about an inch on all 4 sides over what the frame size was to fold over and glue on the back. 9. Get your handy dandy glue gun out! Make sure you have some extra glue sticks laying about because I actually use 2-3 mini sticks for each board. Then lay the fabric print side down on something sturdy, like your table. 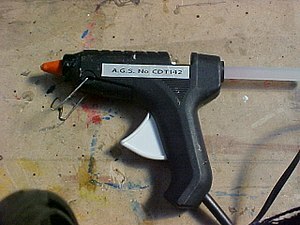 Also, make sure you have something to put the glue gun on in between uses, as it tends to leak and get everywhere. I use an old cereal box that I unfolded. It works perfectly. 10. Make sure you do about 1/3 of the side at a time, as the glue dries really fast, especially if the sheet metal is cold at all. Hot glue in a straight line 1/3 of the side, and press the fabric over it, making sure to spread it into the glue. Then continue that all the way around. For the corners, you can either glue em down, or cut ’em off. I’ve done both. 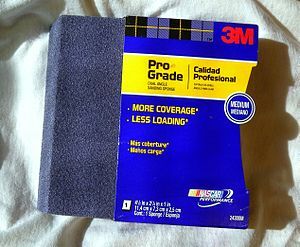 Posted in DIY and tagged Aerosol paint, Business, Cosmetics, DIY, Do it yourself, Fabric, Hot-melt adhesive, Krylon, Magnet, Magnet Board, Make-up, Picture frame, Sandpaper, Sheet metal, Sherwin-Williams, spray paint, spraypaint, Textile, Wal-Mart. Bookmark the permalink. Posted in DIY and tagged Audio, DIY, Do it yourself, Home and Garden, Pinterest, Recreation, Recreation and Sports, Young House Love. Bookmark the permalink. I plan on making 2 of these as presents to start with and see how it goes from there… Most of the cost is start-up cost since I literally had NOTHING crafty to begin with. I still need mini-magnets, sand-paper, a tack cloth apparently (I’ve been doing some google-ing if you can’t tell), some primer spray paint and some sealant spray paint. Oh yeah, and the metal board. That part is sorta important! I’m gonna try to stop by some thrift stores or a Ross today to see if I can get some frames for less than $5 each. But I am excited to start this project! Pics of supplies to come soon! Posted in DIY and tagged Aerosol paint, Black Friday, Cosmetics, Do it yourself, Fabric.com, Google, Magnet, Paint. Bookmark the permalink. As most of you know, or should know, I am horrible at making anything. Well, except babies. I’d say I’m pretty good at that! But as far as food, or clothes, or food, I’m just about as bad as it gets. But I stumbled upon a blog recently that I fell in love with… Liz Marie’s Blog. She is one talented inspiring lady!! 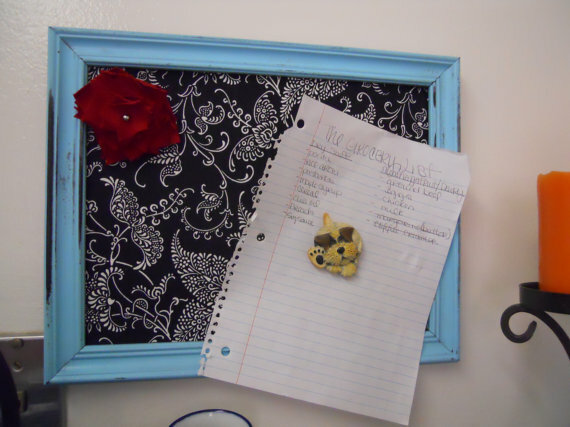 Per her blog, one of the first DIY projects that I am going to make is some make-up magnetic boards. I also found inspiration at Laura Thoughts. Her make up boards were amazing, ant the one specifically that I am going to try to replicate is mustard and black and all gorgeous! I’m really pumped about this and will be blogging every moment of it! Today I ordered the fabric online and I will be trying to buy/borrow the rest of the items I need soon. Posted in DIY and tagged Asia, Cosmetics, DIY, Do it yourself, Etsy, Liz Marie Blog, Magnet, Magnetic Board, Magnetism, Make-up, Recreation, United States. Bookmark the permalink. “Like” my blog on Facebook! Donate to help me through Law School!